Used 2015 Lexus RX 350 AWD for Sale in Indiana PA 15701 AutoSport Co. Offered for sale is a 2015 Lexus RX350 All Wheel Drive with only 26k miles and a brand new set of tires!! 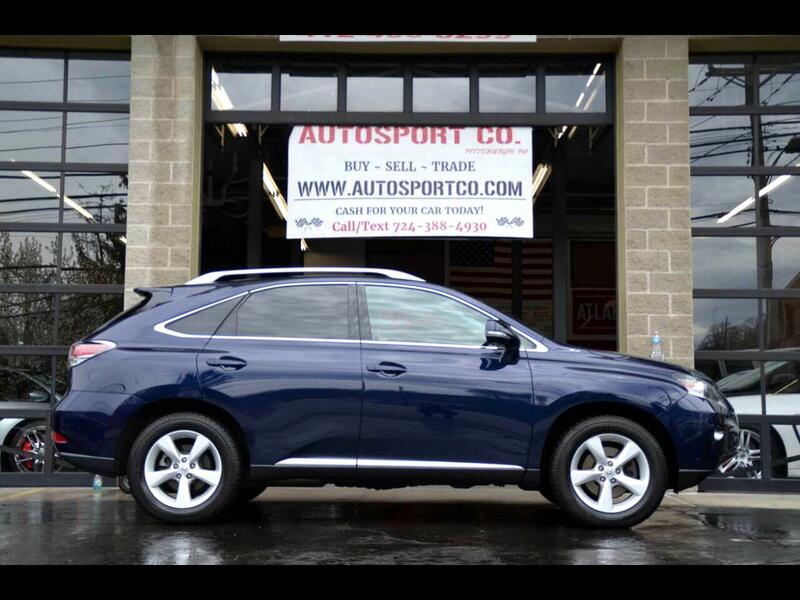 This Lexus RX350 is loaded up with factory options and is a great year round vehicle. Around the dark blue exterior of this Lexus, very minimal wear is present likewise the wheels show excellent and were just fitted with brand new Mastercraft winter tires! Throughout the smoke free, like new tan leather interior there is almost no wear present with the seat bolsters, dash area and carpeting all showing like new. In addition, this 2015 Lexus RX350 is loaded up with features such as: All Wheel Drive, Brand New Mastercraft Tires, Heated and Cooled Leather Seats, Factory Navigation, Backup Camera, Power Sunroof, Factory Remote Start, Blind Spot Monitor, Factory Bluetooth System, Power Trunk Lid, Steering Wheel Controls, Current PA Inspections and much more!! For more information on this 2015 Lexus RX350 feel free to call/text Anthony at 724-388-4930. This car is located at our Pittsburgh location, we accept trades and can help with financing options.